Before he was drafted by the Green Bay Packers in 2013, Eddie Lacy was an All-SEC running back for the Alabama Crimson Tide. The 3-time BCS National Champion helped lead the team to victory in the 2012 SEC Championship and the 2013 BCS Championship. After rushing for 140 yards with 2 touchdowns in the BCS Championship, he was named the game’s MVP. In his first season with the Packers, he rushed for 1,178 yards and 11 touchdowns, winning the Offensive Rookie of the Year award. 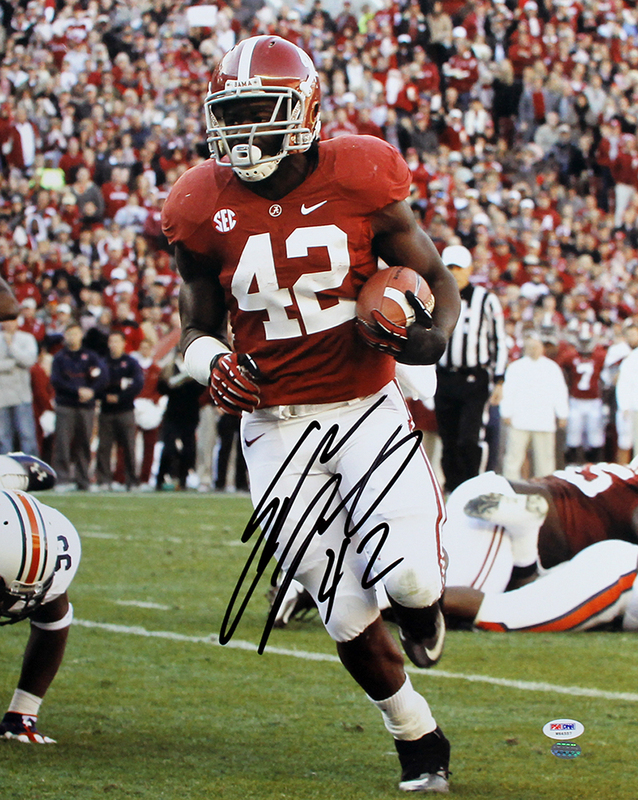 This Alabama Crimson Tide 16x20 photo has been hand signed by Eddie Lacy. Each autograph is guaranteed authentic, and includes an individually numbered TRISTAR Authentic hologram.